BARKA Pursuant to the success of its programme of Student Awards for the Advancement of Post-Graduate Education in Oman, Occidental Oman continues its series of Student Seminars to better align the industry needs and the academia on post graduate studies. To answer the question “Why Pursue Graduate Studies?” the first student seminar with speakers from the energy industry, academia and the government took place on 21 February at the German University of Technology in Oman (GUtech). Prominent key speakers were Steve Kelly, President and General Manager of Oxy Oman, Prof. Dr. Michael Modigell, Rector of GUtech, Dr. Saif A. Al-Hiddabi, Assistant Secretary General for Programs & Scientific Research at The Research Council (TRC) as well as Dr. Fatima Al Hajri, Director of the Graduate Survey at the Ministry of Higher Education, and Maher Al Wahaibi of be’ah, energy company. The panel discussion was moderated by Dyala Sabbagh, Chief Operating Officer of Gulf Intelligence. All panellists brought forward their experience-based knowledge in their respective fields. “Undergraduate studies give you a solid basis for the job,” said Steve Kelly of Oxy Oman. He stressed that Oxy Oman focuses on training graduates on the job and moulding them according to their industry needs. On the other hand, Prof. Dr. Ing. Michael Modigell mentioned that GUtech educates students to become flexible, independent graduates, who can apply research methods, who know how to tackle problems and how to solve them. To get training on the job all GUtech students have to conduct at least three months internships during their studies. Dr. Saif Al Haddabi stressed that the idea of life-long learning is necessary for creating a knowledge-based economy in Oman, and which links the industry, academia and the government. Dr. Fatima Al Hajri mentioned that the labor market in Oman currently requires mainly Diploma or Bachelor degree holders. Therefore, a phenomenon of ‘over-education’ has been created in some fields in the past years. This afternoon seminar served as an ideal dialogue platform where students, professors, and representatives from the oil and gas industry and the government met to discuss different opportunities and challenges related to post graduate studies and their subsequent career options for students in Oman and in the region. The next student-centred panel discussion will be held at Sultan Qaboos University in the coming months. 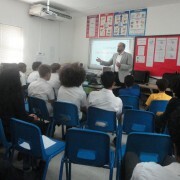 MUSCAT During an inspiring, motivational talk held at the British School Muscat yesterday Assoc. Professor Basel Dayyani, Department of Computer Science at the Germany University of Technology in Oman (GUtech) encouraged the young school students to think as inventors, creating ideas from an early age onwards, while helping to solve everyday problems. Computer Science is not only about programming but about “how to think” about problems our world is facing, said Prof. Basel Dayyani, during an afternoon talk entitled “The Young Innovator”. Prof Basel Dayyani graduated from the University of Colorado at Boulder from the Center of Astrodynamics Research. He is a former NASA scientist. He has worked on mapping the gravity field of Earth at NASA. He also worked in Silicon Valley/ California (USA) and he has over 30 years of experience in the software industry in different engineering fields, working for IBM, Microsoft, Parametric Technology, Synopsys and Unisys. During the talk Prof. Basel showed a short video about the NASA Mars exploration that started in the 1980s; Prof. Basel was part of the initial team that started its research about Mars already around 30 years back. Looking back on his own work and career path, he had some strong and clear messages for the young innovators in the classroom. To achieve certain goals, patience, hard work and failures are essential. “To train for the World Cup you have to train hard,” he said while adding that failures are important for the entire learning process. 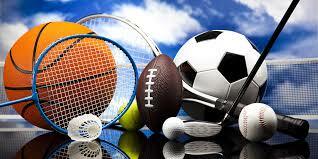 “You will fail many times, but the tenth time you will succeed – do not give up. You learn from your failures. Keep on going until you find the solution,” he said, encouraging the students to pursue their ideas. Prof. Basel Dayyani is teaching Software Engineering and programming at GUtech. 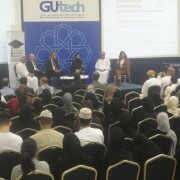 The BSc in Computer Sciences at GUtech is a four year programme with a major in Computer Science and a minor in Information Systems.